El Paso County Public Health officials say someone who traveled to Colorado Springs last month has tested positive for measles. The case may be connected to nine other measles cases in two other states where the patients visited Disneyland or Disney California Adventure Park in mid-December. The former Colorado Smelter site in south Pueblo is now designated a Superfund Site by the Environmental Protection Agency. As KRCC's Shanna Lewis reports, this means the federal agency will investigate and clean up toxic waste in the area. In 2010 state health department tests found elevated levels of lead and arsenic in properties surrounding the smelter - which closed more than 100 years ago. The EPA’s Chris Wardell says residents have a variety of concerns about the Superfund listing, ranging from costs to the effect on real estate values. Colorado is one of several states that will take up the issue of physician-assisted suicide. The topic is once again in the national spotlight with the recent death of Brittany Maynard. The terminally ill 29 year-old moved to Oregon to take advantage of that state’s Death with Dignity law. Pueblo County Health officials say a resident there has died from issues related to the flu, and 60 have been hospitalized since October. Statewide, cases are occurring a month earlier in many locations. KRCC's Tucker Hampson reports. About 100 people have been hospitalized so far this year statewide as compared to 85 at this time last year. Lisa Miller, state epidemiologist for the Colorado Department of Health, says a change in the flu virus may have lessened the vaccine effectiveness, but it’s still important. Colorado’s new Suicide Prevention Commission is meeting this morning for the first time. KRCC’s Eliza Densmore reports. The state legislature created the group to establish new efforts for prevention priorities, broaden public and private partnerships, and identify funding resources. Jarrod Hindman is the Suicide Prevention Section Manager at the Department of Public Health. He says the commission is expected to build on past prevention efforts. The state board of health has voted against setting maximum patient caps for medical marijuana caregivers. 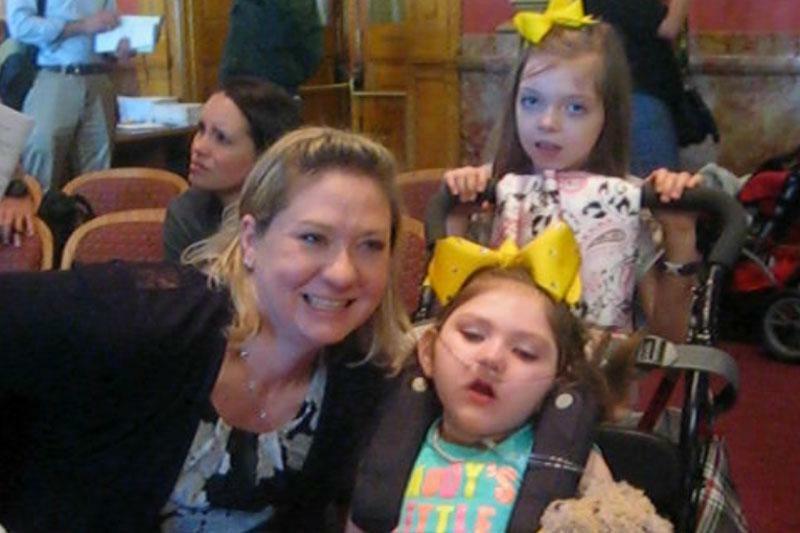 The proposed rule would have limited caregivers to just ten patients. After a tense and at times tearful hearing on Tuesday, the board said the change was unnecessary. Bente Birkeland has more from the state capitol. Pueblo’s first needle exchange is set to take place Friday. KRCC’s Dana Cronin reports. The exchange is geared toward illegal injection drug users in order to help prevent the spread of Hepatitis B and C, and HIV. Access Point Pueblo is a legal syringe access program and is hosting the exchange. Dr. Michael Nerenberg sits on the City-County Board of Health and has helped bring the program to Pueblo. He’s also a retired emergency room physician who worked in the city for over 24 years. Nerenberg says he’s seen drug use, including heroin, escalate over the years. Health officials are reporting the first rabid bat of the season in El Paso County. As KRCC’s Dana Cronin reports, rabies is also showing up in surrounding areas. Three children discovered the bat in Southwest Colorado Springs, and two were recommended for rabies post exposure treatment. The Colorado Department of Public Health and Environment says as of early last month, 24 wild animals across the state have tested positive for the disease this year. Three were found in surrounding Pueblo and Elbert counties. West Nile virus is appearing in mosquitoes across the state earlier than expected this year. KRCC’s Tucker Hampson reports. The virus has been found in mosquito populations in northern Colorado counties and on the Western Slope. State Public Health Veterinarian Jennifer House says they’re not sure why mosquitoes are showing up with the virus earlier this the year, but that means people are at risk sooner than expected. 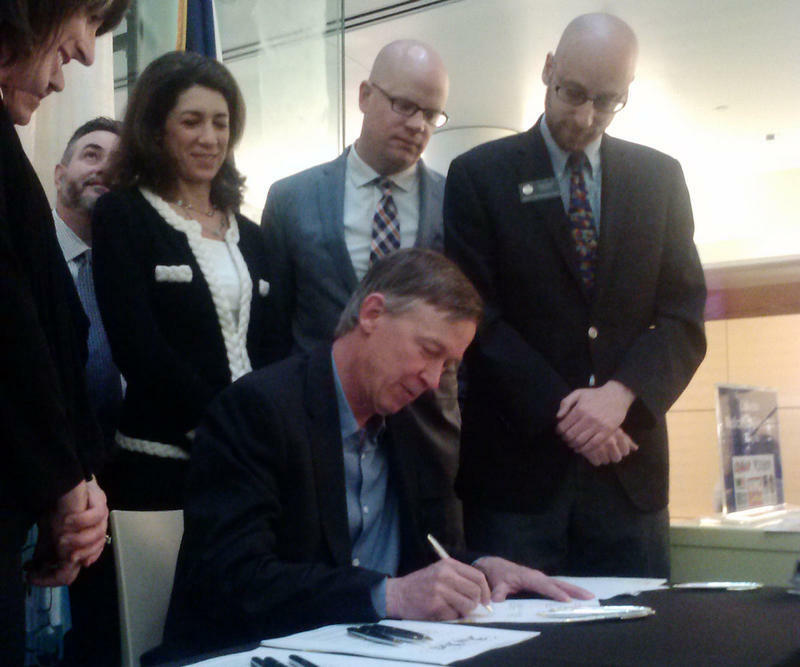 Governor John Hickenlooper signed two measures into law Wednesday, both aimed at tightening rules around marijuana edibles and concentrates. One goal is to make sure young children don’t accidentally ingest the drug. The state senate significantly watered down a vaccine education proposal on Wednesday. Many parents came to the state capitol to testify that the original bill was a government overreach. House Bill 1288 requires schools and day care centers to collect data on the number of children immunized and the rate of exemptions. But the bill originally required parents to take an online education class or get a letter from a doctor or public health official before opting their children out of vaccines. A bill to increase the smoking age in Colorado to 21 failed in the house finance committee Wednesday. One Democrat joined with Republicans to defeat the measure. A number of controversial healthcare bills are up for debate at the statehouse this legislative session. For this week’s Capitol Conversation, statehouse reporter Bente Birkeland talks to reporters about some of them, and also talks about one of the biggest budget fights going forward. 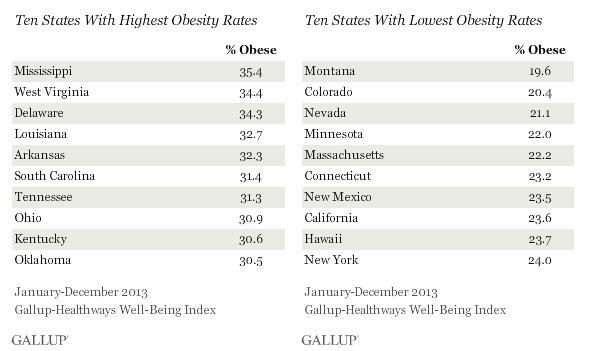 Colorado is no longer the least obese state in the country, according to a new Gallup poll released yesterday. KUNC’s Luke Runyon reports. Since 2010 Colorado has consistently topped lists as having the slimmest population in the country. Not anymore. Montana has usurped the title, where 19.6% of the population is obese, compared to Colorado’s 20.4, putting the Centennial State in second place. Mississippi has the highest level, at 35 percent. Officials from Connect For Health Colorado say they’re on track to be self-sustaining when federal subsidies run out next year. KRCC’s Nat Stein on the latest from the state’s health insurance exchange. Almost 69,000 Coloradoans have gotten health insurance through the state’s new insurance marketplace. That includes a significant uptick since the end of last year. CEO Patty Fontneau told lawmakers on Thursday the exchange won’t need to charge high fees on premiums, due to the enrollment numbers. She also says the exchange plans on trimming staff to help cut costs. Governor John Hickenlooper is asking the Environmental Protection Agency to put an area near the old Pueblo smelter site on the national Superfund list. KRCC’s Rachel Gonchar reports. Cantaloupe farmers in eastern Colorado responsible for a deadly outbreak of listeria two years ago were sentenced today after pleading guilty to six misdemeanor charges in October. KRCC’s Nat Stein has more. A federal magistrate in Denver sentenced brothers Eric and Ryan Jensen to five years of probation, starting with six months of home detention. Each brother also must pay $150,000 in restitution and perform 100 hours of community service. Penrose-St. Francis is now the first hospital in southern Colorado to attain Magnet recognition for its nursing. According to a press release from the hospital, the American Nurses Credentialing Center, or ANCC, currently recognizes less than a tenth of the nation’s hospitals with Magnet distinction. Hospitals must apply for the credential and undergo a rigorous review process, including onsite. To maintain the rating, facilities must reapply every four years and demonstrate improvement in patient care and outcomes. Active and retired miners are eligible for free health screenings in Pueblo this week through the Miners Clinic of Colorado. KRCC’s Eliza Densmore reports. The screenings consist of physical exams, questionnaires, and chest X-rays, among other tests. Current miners are eligible for the Black Lung Clinic, while miners that worked in the uranium industry before 1972 are eligible for the Radiation and Exposure Screening and Education Program or RESEP. Other criteria apply. The Centers for Disease Control says Alzheimer’s disease is the most common cause of dementia among older adults. KRCC's Andrea Chalfin is joined this month by Major Douglas Langford, a neurologist at Fort Carson. They start by defining what Alzheimer’s is and how it’s different from other forms of dementia, or even just getting older. Many people are prescribed medications to treat different kinds of conditions, and it’s not always about simply feeling better. For this month’s Healthy Conversation, KRCC's Andrea Chalfin is joined by Dr. Steven Lang, a family physician at Fort Carson to talk about prescription medications. Despite the government shutdown, a big new part of the federal health care law is still going into effect. New marketplaces for health insurance, or “exchanges,” have been open for one week today. Health reporter Eric Whitney has been following developments closely, and came by the KRCC newsroom to talk about what’s happening, and what the new requirement to have health insurance means for people in Colorado. The Pueblo City-County Health Department is reporting another West Nile Virus case. KRCC’s Maggie Spencer has more. All four cases of the mosquito borne virus in Pueblo County this year have been confirmed within the past month. Pueblo City-County Health Department director Dr. Christine Nevin-Woods expects the risk of mosquito bites and West Nile Virus to decrease as the weather gets colder, but still recommends precautions like draining standing water, avoiding the outdoors at dusk and dawn, and using deet. El Paso County health officials are confirming the first human case of West Nile Virus in the county this year. A man has been diagnosed with the virus in what Dr. Bill Letson, the El Paso County Public Health Medical Diretor, calls a pretty average year for incident rates. There may be one or two more cases, according to Letson, but mosquito activity is winding down. Federal staffers recruited participants who live within a half mile of the former Colorado Smelter. The smelter ceased operations in 1908, but slag – waste material from making steel – was left behind. The tests are aimed at children and women of childbearing age. Dr. Bruce Tierney is a medical officer with the federal Agency for Toxic Substances and Disease Registry. Update, Sat 11:30 AM: ​The boil advisory is now lifted. Update, Fri 5:15 PM: The boil advisory for Manitou Springs is still in effect, but for certain neighborhoods only. The city says the lower section of Crystal Hills Boulevard and Vias Subdivisions require some follow-up testing, which is expected to be complete tomorrow morning. Other areas, including the downtown business district, are no longer under the boil advisory. 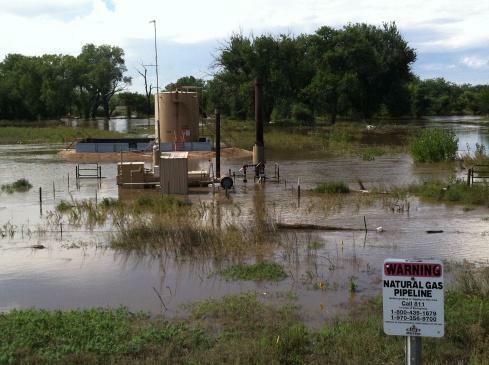 Weld County in northeastern Colorado, one of the most drilled in the nation, was also among the hardest hit by this week’s historical floodwaters. State regulators and oil and gas industry workers are now scrambling to assess the damage and mitigate the health and environmental impacts. “At this point – as access continues to be limited and emergency responders remain focused on lives, property and roadways – we have limited information about specific impacts or particular locations,” said Todd Hartman, spokesman for the Colorado Oil and Gas Conservation Commission (COGCC). The number of suicides in Colorado is at an all time high. 1,053 people took their own lives in 2012 – giving Colorado one of the highest suicide rates in the nation. Jarrod Hindman is the Director of Suicide Prevention at the Colorado Department of Public Health and Environment. He says the state’s geography limits access to mental health services, and the social stigma of getting help continues to contribute to the numbers. Veterans and other military leaders gathered at the state capitol yesterday to talk about ways to improve treatment for post-traumatic stress disorder. Colorado Senator Mark Udall and Congressman Mike Coffman put a task force together to recommend better federal policies. Bente Birkeland has more from the capitol. The Centers for Disease Control just released obesity numbers for pre-school aged children of low-income families, and nationally, the trend is generally positive. 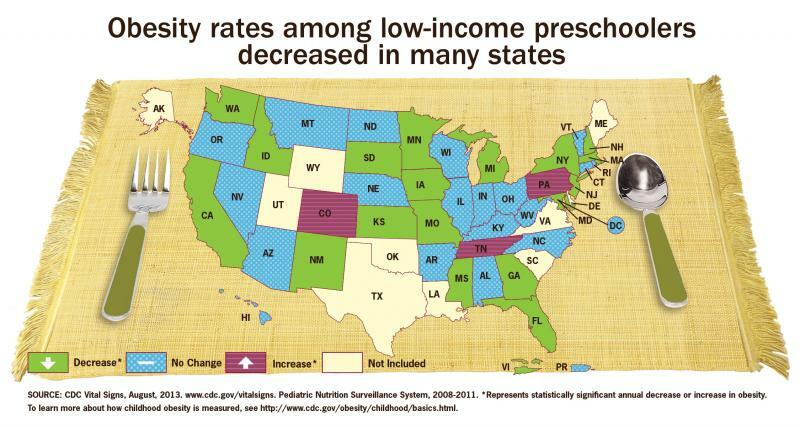 In Colorado though, the report showed an increase in obesity rates among these children.